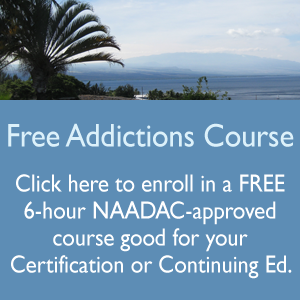 We are currently offering FREE enrollment in the course “Understanding Violence and Self-Harm for the Addictions Professional” for NEW registered users on our site. We hope that you will take advantage of this opportunity to get to know our courses and our academy a little better. The course will be open for enrollment until November 30th. If you download your certificate before November 30th, you will have the opportunity to grab a second course at 50% off.